Although your small group may not be meeting every week this summer, members can still participate in a Bible study together. You might plan to meet monthly at somebody’s house over dessert, or host an online group discussion using a Facebook page for comments on the study. Here are five great study options available now at smallgroup.com. 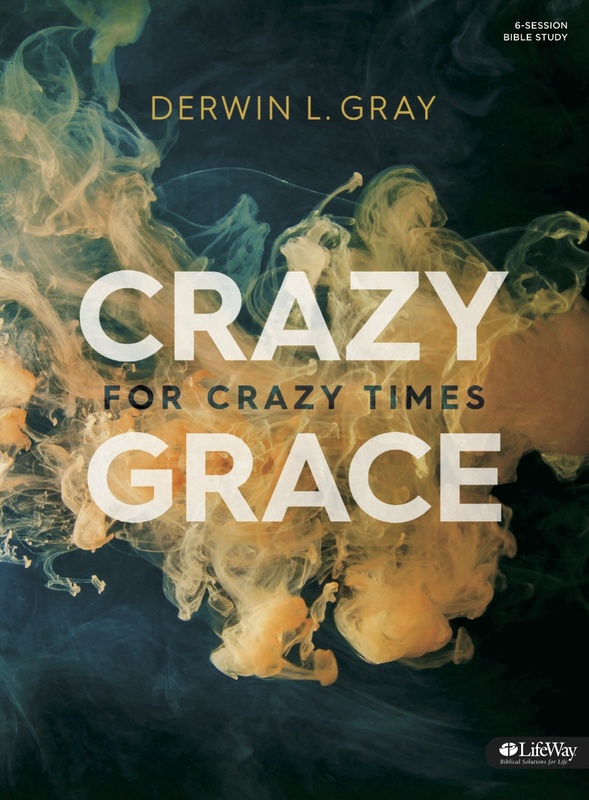 Derwin Gray shows us grace that leads to compassionate ministry and influential witness in this 6-session, video-enhanced study. 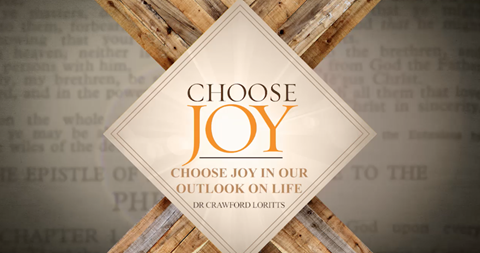 Crawford Loritts teaches through the Book of Philippians, illustrating that joy in Christ is ours to choose in all circumstances in this 4-session, video-enhanced study. Eric Mason teaches us to understand the lifelong process of spiritual growth and maximize God’s work in the image of Christ in this 6-session, video-enhanced study. Bryan Loritts, pastor of Abundant Life Christian Fellowship in California, helps us live outside of the tyranny of the urgent in this 4-session, video enhanced study. In this 5-session, video-enhanced study, Pastor Mike Glenn of Brentwood Baptist Church encourages believers to find their identity in Christ. Now that the school year is almost over, baseball is in full swing, and pools are open for business, your church’s small groups are starting to calculate whether to continue meeting over the next three months. Figuring out summer is especially tricky for family groups. If they continue meeting every week, attendance will be spotty at best. If they stop meeting, it will be difficult to gain momentum again in the fall. So…should groups take the summer off? Yes and no. It might be best for a group to stop weekly meetings through the summer but not stop meeting as a group. Now is the time to provide your groups with ideas to fill out their summer calendar. Here is how it could look for your small groups. June: Have groups plan one social event and one serving opportunity. June is a great month to get together for a picnic or a baseball game. It’s also ideal for pulling small groups together on a Saturday to go out and serve the city. Get both of these events on the calendar now before schedules are completely locked in. July: Encourage groups to take in the fireworks together on the 4th and serve a different Sunday ministry in the church. You can give your kids ministry workers a much needed break by helping groups volunteer for one or two Sundays in July. August: Organize groups to help a local school with back-to-school supplies for underprivileged students. They will also want to schedule their first “official” meeting back in late August. This meeting can be more social to acclimate any new members into the groups. September: Kick off weekly meetings again with a six-week all-church campaign. Smallgroup.com is a great resource for building the studies for that campaign. You can now preview it for free for 30 days! If groups have a plan going into summer, they will not only continue as a group, but also have momentum for the fall. I can almost guarantee that your church will have unconnected people in it on Easter Sunday. In fact, most churches will have record attendance on that day, but we rarely plan for how to help those new attenders get plugged into community as soon as possible. If one of your purposes for small groups is to help close the back door, then there is no bigger opportunity than Easter Sunday. Here are four things you can do to help connect those new visitors into groups after Easter. 1. Have a groups connect event the Sunday after Easter. You will want to give people visiting on Easter Sunday the quickest avenue possible to getting into groups. This connection event can be a full event that leads into a campaign (see next point), or a stripped-down version with just small group leaders available in the lobby. Start promoting it on Palm Sunday to give you two weeks of promotion before the actual event. 2. Plan a post-Easter, four-week small groups campaign. A full six-week campaign will be difficult at this point, but a four-week series that starts the week after Easter will put the campaign ending before Memorial Day—the unofficial start of summer. Anything longer will lose momentum because of the natural rhythms of summer vacation schedules. The first week of the study can kick off with the connection event at the church and then move into off-site locations for the final three weeks. 3. 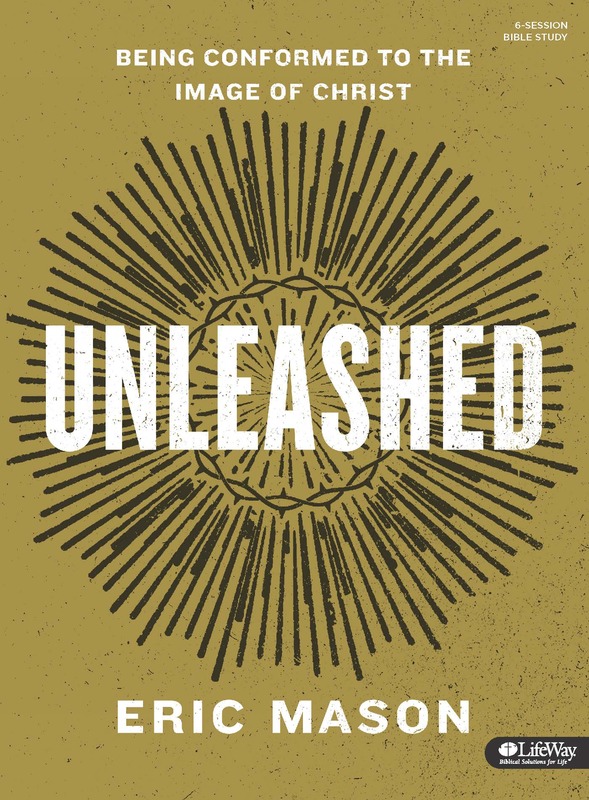 Only announce the next sermon series and small groups on Easter. With that many people in the room, it’s tempting to announce everything that you do as a church. Resist that temptation and only announce what the next series is and how people can get connected in groups. Truthfully, most people will be thinking about Easter lunch at the end of the service, so they will only have an attention span for one or two announcements. Make those the most important initiatives they need to hear: what they will learn if they come back, and how they can get connected in community. 4. Follow up on new groups for the summer. You don’t want your new groups to cease to exist when vacations start, so plan to follow up with them the first week of May in order to help them have a plan for staying together through the summer. They don’t have to continue meeting every week, but this is not the time to disband as a group. Give them ideas for doing something fun and something missional throughout the next two months. That will help keep the community going that was just started. If you decided to launch a church-wide study with your small groups this year, you’re probably just getting started or in the middle of that campaign. Now is the time to plan for what is next. The success of the campaign is not as much about how many people signed up but how many people continue in community after it ends. Here are five things you should do now to ensure your campaign is ultimately a win for your church. 1. Have a follow-up study ready. Put as much effort into the next study as you did for your campaign one. You don’t have to enhance with videos from your pastors, but make sure it progresses on the current one and is exciting enough for groups to want to continue with. 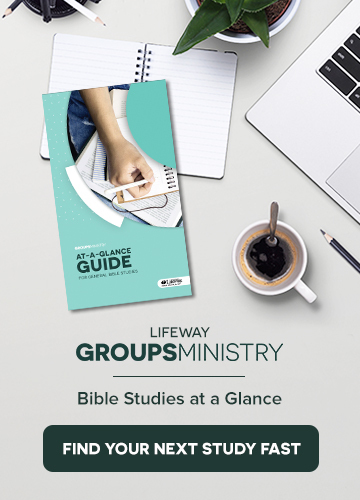 Check out smallgroup.com for easy, custimizable study options for your groups. 2. Adjust groups for the next six weeks. Chances are good that at least a few of your new groups did not make it to the end. Have a plan ready to help integrate those people into existing groups, or start more viable new groups for the next study. 3. Have a plan for new groups to start. A new study is a great opportunity to launch new groups. Implement another push for people that missed out on the campaign to be in a group. They have probably sensed the excitement around the all-church study and now want to be a part of it. 4. Transition your coaches. If you recruited new coaches for all of the new leaders during the campaign, you will need to check in with them and encourage them to continue with their leaders for the next six weeks. 5. Celebrate the campaign. Don’t get so wrapped up in what’s next that you miss celebrating what God has just done. Celebrate all of the new leaders and the work they put into hosting groups for the campaign. Celebrate the life change that is taking place because people are being discipled in community. Begin collecting those stories and share them with church on a Sunday. That will help build momentum for your next campaign in the fall. The new year is a time when a lot of churches launch campaigns to help align their small groups around the same emphasis. The campaign gets everyone on the same discipleship page and builds excitement for being part of a small group. You can even go as far as including the students and kids ministries in the alignment. Producing a “whole church” study initiative is lot of work, but it can be worth it to have everyone going the same direction spiritually. 1. Have a post-campaign plan. Even though this step is technically after the campaign ends, I am listing it first to think about—because this is where we can lose all of the momentum we built for the launch. The post-campaign study needs to be in place before your launch so it’s an easy transition for groups after the initial series. They will be more likely stay together as a group if there is a map forward beyond the first six weeks. Check out Disciples Path: The Journey for a great year-long discipleship map for your groups. 2. Take advantage of January to recruit leaders. It will build anticipation for groups starting soon. It gives you time to recruit and train enough leaders for starting new groups. 3. Utilize Facebook Live for new leader training . According the latest social media trends by Pew Research Center, 79% of internet users are on Facebook. Instead of expecting leaders to come to you for training, go to where they are by hosting short, weekly training sessions on Facebook Live. Live is interactive, so they can ask clarifying questions during the session. You can keep the videos hosted on Facebook for group leaders to refer to later. 4. Use a felt need message series for your study. People love to talk about themselves, and they will get more excited about being in a small group if the discussions give them a chance to explore practical needs in their lives. If the series is starting in February, a message series about relationships is a natural fit for the time of year (Valentine’s Day) and for starting easy conversations in groups. Just don’t leave out singles with a series for married people. Singles have relationships, too. 5. Allow time for groups to adjust as they start. It doesn’t matter how much preparation you have put in before the launch, there will inevitably be groups that never get off the ground. It may be because of location, time, personality, or many other factors, but you have to be ready to adjust for those new leaders. Look for a way to combine groups in the same area, or ask the leaders to help another group for a semester before launching again in the spring. The air is getting cooler, the leaves are starting to turn colors, and football season is in full swing. We are also heading into the toughest season all year for small groups. Fall and winter bring a myriad of parties, vacations, and holidays. It’s tempting at this point to not fight against the busyness and just cancel group until the new year. But by the time January hits, the group has lost any kind of momentum and has to start over—or completely disband because of lost interest. 1. Use an October group meeting to have a pumpkin carving contest. My group started this tradition a few years ago and it was a huge hit. Just have every person (or couple) bring a pumpkin and a few carving utensils. We would always buy a couple of extra pumpkins in case someone new was invited that night. My favorite winner was a dead-on version of Walter White from the show Breaking Bad. 2. Plan a pre-Thanksgiving alternative meal. Everyone loves to eat, and what could be better than a Mexican-themed Thanksgiving meal? The crazier the food theme, the better. They will get plenty of traditional turkey and cranberry sauce on Thanksgiving day. 3. Serve together at a homeless shelter or ministry on Thanksgiving morning. There are multiple opportunities around cities to serve on Thanksgiving day. You can be done by mid-morning and ready for your family celebration by 1:00 p.m. Nothing prepares your heart for being truly thankful than serving as a group for those without. 4. Plan an early December Christmas party and then take a break. Most parties don’t get started until the second week of December, so prepare your group now to get their ugly sweaters washed before December 1st! Don’t worry about attempting to have weekly group meetings through December. The normal rhythm of work and school parties will soon wipe out everyone’s calendars. 5. Get your first meeting in January on the calendar now. Instead of scrambling to put something together in the whirlwind of the new year, go ahead and pick the date so that everyone can be ready for it after the festivities and relatives have disappeared. If you haven’t already picked your study for the new year, go ahead and do that before your last meeting in December. This will give everyone something to look forward to coming back in January. Holidays do not have to kill your group’s momentum. If you get creative and plan ahead, they can give your members something to look forward to every year. Did you know that the company Walgreens invented the chocolate malt? According to Wikipedia, “in 1922, Walgreens’ employee Ivar “Pop” Coulson made a milkshake by adding two scoops of vanilla ice cream to the standard malted milk drink recipe (milk, chocolate syrup, and malt powder).” Yet if you have a late-night craving for one today, you’re not going to head to Walgreens. Or did you know that Timex sold the first home computer at a cost of under $100 in…1982? They quickly made the decision to stick to their core business of making quality watches. What both of these successful companies eventually decided was that just because we can doesn’t mean we should. As church leaders, we can offer a thousand different options to our congregation, but it doesn’t mean we should. That even applies to small groups. A lot of churches look to groups to solve a discipleship plan void, but they don’t take the time to think through the implications of making them work. Here are three reasons to think about possibly eliminating your small groups. 1. They’re just another program. Your church members need a clear spiritual pathway, not another program. Adding programs to the schedule is easy. The hard work comes when you start eliminating unnecessary programs to clear the path for life-changing environments. If small groups are on a long list of options for people to join, they will lose every time. Take some time to think through everything that you offer outside of Sunday morning worship. If small groups are not a vital next step for people, then you might consider taking them out. 2. The senior leader is not behind them. The senior church leader has to be completely on board with your small groups system. Most pastors know that their church should offer intentional paths to discipleship, but they struggle with knowing how to implement a healthy groups system. The lead pastor has to be the head cheerleader for developing disciples within the framework of community. If your senior leader is not willing to be a part of a small group, only a small percentage of your congregation will be willing to give it a shot. 3. They’re not in the budget. Any ministry or program worth having is worth paying for. We are willing to devote a good amount of the budget to the initial spiritual step—the Sunday service—but not always to the discipleship plan that should follow. As much as we would love for groups to happen organically, it is going to take money to help them launch and succeed. Biblically solid curriculum is not a luxury for groups; it’s a necessity. Your group leaders need guidance in order for the right discussions to take place during meetings. They also need to be taken care of with occasional coffees and swag. If you’re not ready to make small groups an essential part of the church’s budget, then you might reconsider their existence. Fall is the perfect time to launch new small groups in your church. The most successful group campaigns will take place when people are settling back into their normal routines after the chaos of summer schedules. They are now ready to reconnect with the church and their community. This means that you will need to recruit new leaders now to be prepared for the growth coming in September. As you start the process of interviewing and training those potential small group leaders, here are five things they will need to know to be successful. 1. They are not alone. It’s scary stepping out as a leader. Will anyone show up? Am I qualified to lead? What if someone asks a tough question? Cheese tray or fruit plate? The first thing they need to know is that the church leadership will walk alongside them all the way. A solid coaching system can help a new leader feel more secure and better cared for. 2. All they have to be is one step ahead. One of the biggest worries for potential leaders is not being worthy of leading other people. 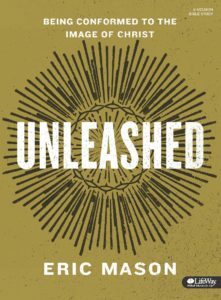 How can they spiritually lead others when they’re still trying to figure out how to lead themselves? The truth is, in most cases they don’t have to be fully mature believers. They just need to be striving to become more like Christ and be willing to take a few people along for the journey. 3. They don’t have to be everyone’s BFF. Most leaders will not be able to connect on a deep level to every person in their group. Nor should they try to. Their role is to help facilitate opportunities for people in the group to connect with other group members. And that usually happens best outside of the group meetings. If leaders feel like they have to give every group member the same level of care, they will eventually feel like a failure. 4. They don’t have to have all of the answers. It’s okay to not know the common translation of the name “Zephaniah” (“Yahweh has hidden”… in case it comes up). They can let the group know that they will come back next week with an answer. People will respect a leader who is transparent more than one who seems to have all of the answers. 5. They should pray weekly for group members. The buzzword in the small groups world used to be “community.” We wanted everyone in our church to be in community together for great reasons. They were less likely to leave the church. They were more likely to serve in the church. They were being cared for by more than just the pastoral staff. Now the word I hear often is “discipleship.” We have done a pretty good job of gathering people into community; now how do we turn that into making disciples? Great question. But first, here are five reasons why you should not disciple someone. Helping someone become a fully devoted follower of Christ is not for the faint of heart. There will be times of elated joy and times of extreme frustration. People’s lives are messy, and walking this journey with them gives you a backstage pass to the ugliness. Most of us are not very patient—especially when it comes to other people. We want to see immediate results, or we’re on to the next thing. Becoming a disciple of Jesus is a long road that takes time and patience. There is a lot to cultivate and refine. We didn’t get this messed up overnight. If Jesus was our example, then we are not meant to take this journey on our own. Disciples are not created in a classroom or on a pew. Iron sharpens iron. The only way to help someone become more like Christ is to be a part of his or her life. All of the good and all of the bad. 4. There’s not a finish line. By nature, we want to see the job finished. My favorite part of mowing my lawn is when it’s finally done. I can spend a couple of minutes admiring my mowing skills and then move on to the next conquest. That’s not the way it works with spiritual growth. We’re never finished until we’re standing in front of Jesus. What you may not realize is that when you decide to disciple someone else, you are going to grow as well. Growth is difficult. Growth means change. Every time we take another spiritual step, it requires more from us. It would be much easier to stay right where we are, but the fact is that living things grow. While the task of discipling another person is daunting, the result of making a disciple who will make disciples is absolutely worth it. And Matthew 28:19 doesn’t actually give us a choice. Jesus left us one job to do—disciple all of the nations. Now let’s go do it. It’s the end of March, and for most churches that means activity for small groups is beginning to slow down. Spring break for schools is hitting. The post-Easter attendance slide into summer is about to commence. Your groups may not be stopping, but they are shifting gears for the hectic spring and summer months. This time is a great opportunity for groups point people to spend some time working on the ministry—not just in it. We need these opportunities to shift, realign, and refresh our systems. Here is a list of five ideas and questions that you should start thinking about to prepare for the next season in groups. 1. Lock in the theme for the fall alignment series. Start meeting with the teaching pastors now to see where God is leading them to take the church in the fall. What can we creatively do with groups around the teaching theme? 2. Refresh your leader’s training for new leaders in the fall semester. It may be time to revisit how you train your new leaders. Has the culture shifted since you last built your training? Are there more effective ways to deliver the information? 3. Build your curriculum map for groups after the fall alignment series. Start thinking now about the next step for groups after the fall alignment series. SmallGroup.com allows you to easily design a discipleship map for your groups to follow. Where do you want groups to grow spiritually? What is a natural transition from your alignment theme? 4. Ask current group leaders to identify possible new leaders from their groups for the fall. Now is the time to start identifying the new leaders for the fall push. Your best recruitment will come from existing leaders tapping their group members on the shoulder. How can we help our current leaders identify and commission new hosts and leaders ? 5. Identify and start recruiting new coaches. If you are planning on growing your groups (and I hope that you are), you are going to need coaches to help care for all of the newly recruited leaders and hosts. Now is the time to start having those conversations. Recruiting effective coaches takes time and patience. Which current leaders would be a natural fit for coaching other leaders? Are there any former leaders who not currently leading a group but would be great at caring for other leaders?